During a recent trip to York, I couldn’t resist popping into ‘Duttons for Buttons’, a tiny haberdashery shop which has been there for many years and which I remember passing regularly as a small child. 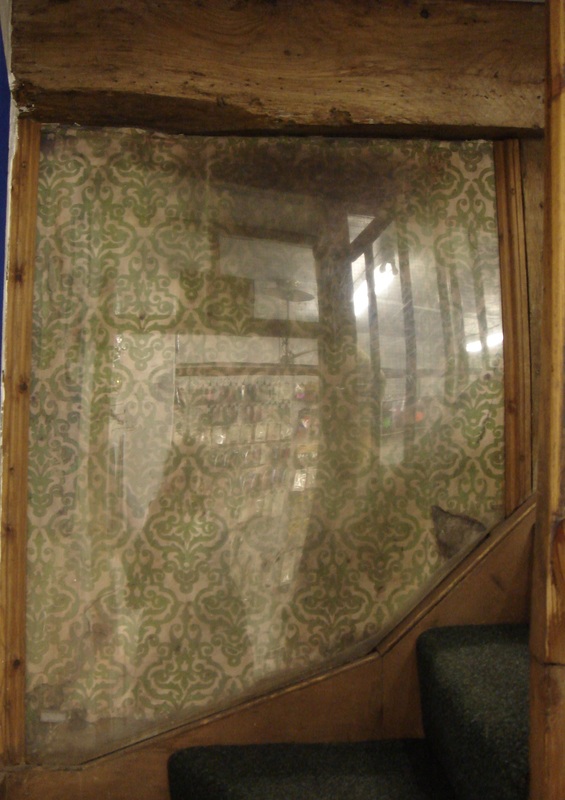 I was delighted to find that recent expansion plans had uncovered a hidden 16th century range, an entire mediaeval room complete with exposed beams and struts and to my excitement, a section of Victorian wallpaper which has now been preserved behind Perspex on a stairwell. The paper was a typical example of the woodblock printed wall hangings which became popular with fashionable, middle class Victorians. 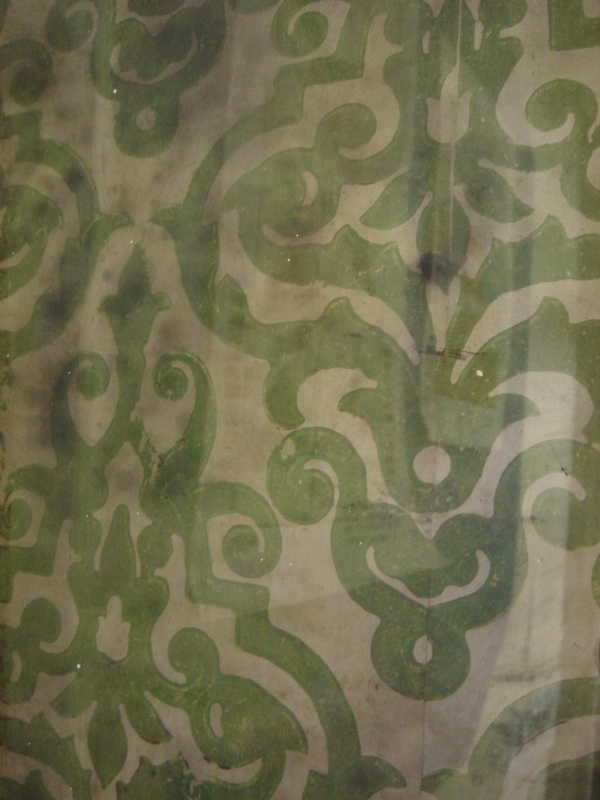 Predominantly green, the pigment often used to produce this colour in Victorian wallpapers was the highly toxic Emerald Green. First recorded in 1822, the pigment contained the copper aceto-arsenite compound. As the name implies it contained quantities of arsenic, the fumes of which were released in damp conditions. It is famously reported that this pigment contributed to the death of Napolean, who had his rooms papered with a green wallpaper although no evidence exists to support this theory. By the Victorian era, papers were frequently pasted directly the plastered walls, (as can be seen in this York example), and this certainly would have increased the papers’ contact with moisture. The proximity of fires, candles and burning oil encouraged dirt and pollutants to stick to the paper and it wasn’t long before a freshly-papered room began to deteriorate in appearance. Areas of dirt are evident on this example and with the large range just feet away, it isn’t surprising. The staff were very welcoming to people admiring the buildings’ interior so pop into 32, Coppergate, York next time you are there for a tourist-free treat. Information sheets on the history of the building are available on the ground floor.